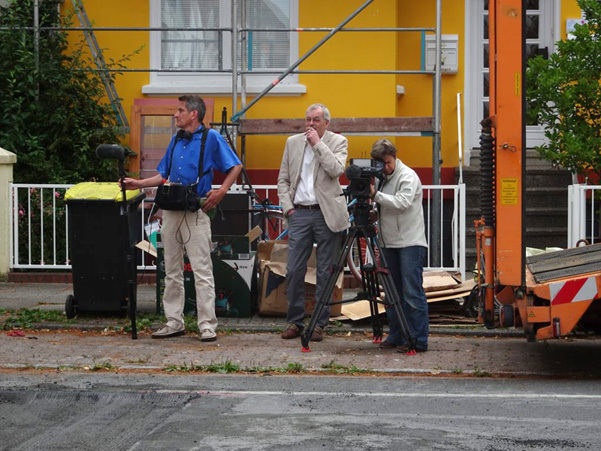 At the beginning of July this year, a blue marking appeared at the junction of two Neustadt streets, Lahnstraße and Biebricherstrasse, two streets that are home to many families. What had happened? Frustrated by years of official procrastination we decided, as a group of local residents, to take action. 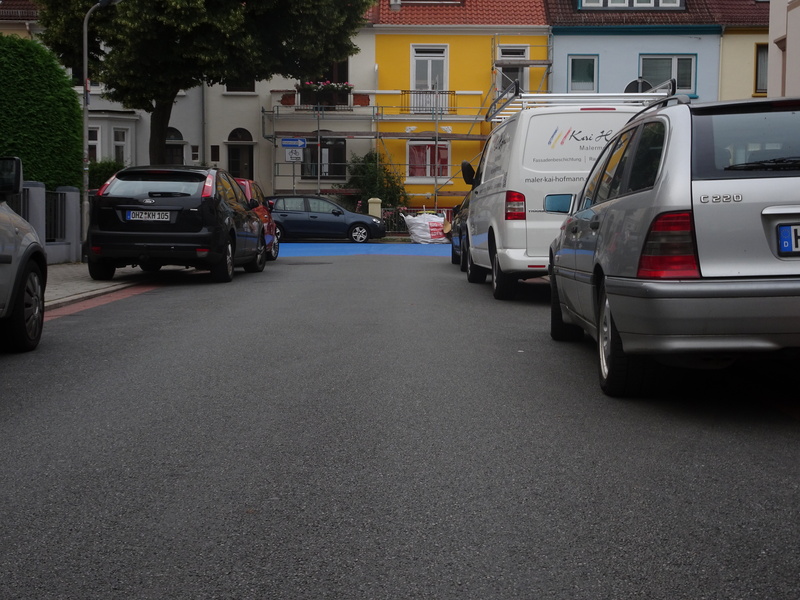 In order to visibly highlight our campaign for safer streets, we covered the road surface at one of nine critical road junctions in Lahnstraße with blue paint. The result was prominently visible and road users – in particular motorists on Lahnstraße – observably behaved in a much more prudent way towards cycle traffic and pedestrians, and they clearly complied more consistently to the right-before-left ground rule for such junctions. A series of near misses in the Lahnstraße were causing growing concern, and though they repeatedly were addressed by the police and the ADFC (German Cycling Association), local authorities kept throwing the issue into the long grass. So we decided to take direct action without waiting for the approval of the city authorities. 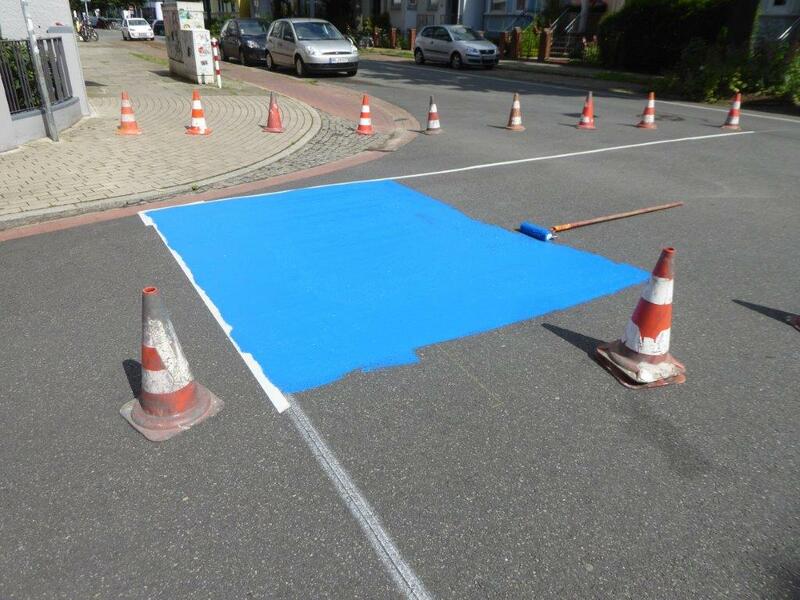 The junction was painted blue to give an example of how one can increase road safety, especially for pedestrians and cyclists with simple, fast and cost-effective means. The response was massive. Approval and recognition of the legitimacy of the request to act, had usually been given by word of mouth and by personal letters to the activists. Rejection, on the other hand, almost always was given in writing by local authorities and in a clandestine way by irritated residents, as city authorities called them in public. At this stage, Green Party Transport Senator Joachim Lohse could have sought a dialogue with our initiative and with the District Council. Unfortunately, there was not the slightest attempt; on the contrary, the Senator made it known through his spokesman that the blue marking represented a threat to traffic, that there was the risk of it irritating motorists, and that it was against Road Traffic Act regulations. Thus, the „highly busy“ ASV freed their valuable time and resources – fully backed by the Transport Senator – to announce the immediate removal of the blue colour, planned and executed without delay. And so the blue markings were removed amid considerable interest from the regional media. 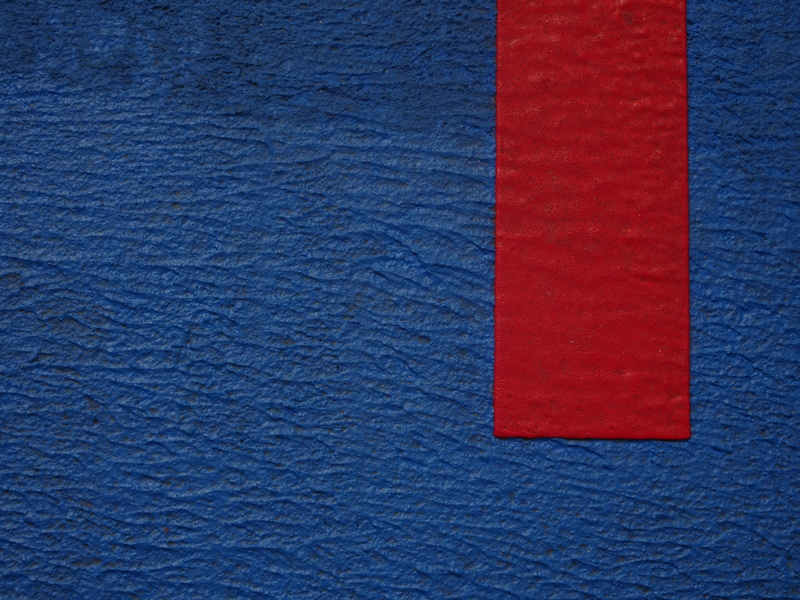 With a haste rarely seen, the ASV, employing heavy road construction equipment, milled the blue marked area and reapplied a 3 cm layer of asphalt. The condition of the road is now as before, the city of Bremen having missed an opportunity for improving traffic safety at one of the many critical junctions in town. 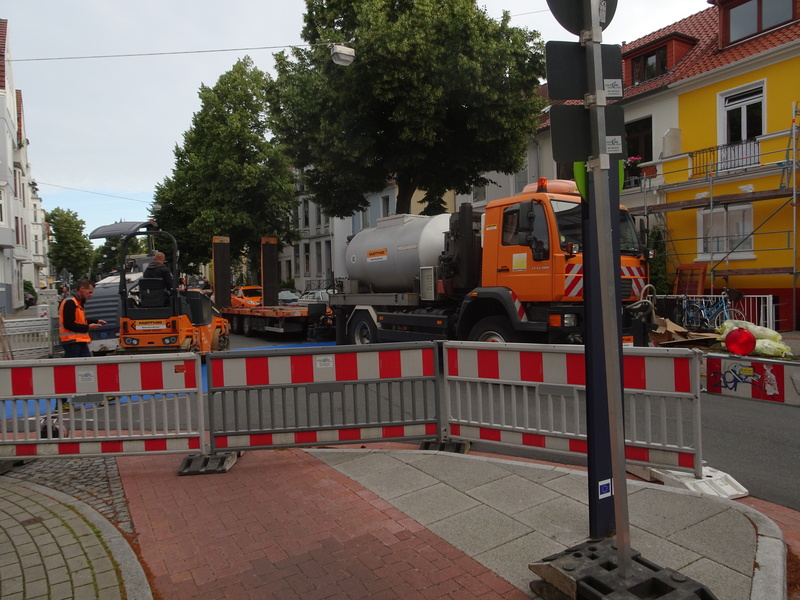 The ASV has strongly been requested to „now finally“ investigate and concretize the possibility of converting the Lahnstraße into a Cycle Street („Fahrradstraße“). In addition, we have got to know quite a few local residents, for whom the city authorities’ neglect of road safety is completely incomprehensible. Those contacts are going to be very helpful as we develop future projects. Large areas of public space in our neighbourhood are currently being used as a zero cost car parking area. With proper management, and funds, we believe this can be transformed into a livable district, whose residents live with a reduced CO2 footprint, and who appreciate the existence of urban spaces for social contacts and their own well being. The events and communications pertaining to this post are recorded in some detail on our documents page. 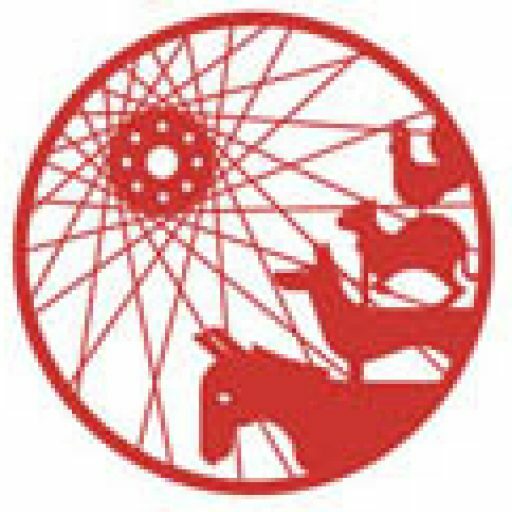 Of particular interest is our response letter to the Bremen Senator for Environment, Construction and Transport (currently only available in German), as it takes up a number of official statements made and scrutinzes them for inconsistencies and contradictions. s. Machbarkeitsstudie ab S. 180.
vielen Dank für deinen guten Tip. Danke für die Initiative, diesen Artikel sowie die Bereitstellung des Antwortbriefes an den Senator für UBV. Die Bereitschaft und das Engagement der Akteure Wiedenmann und Köhler-Naumann sich an einem konstruktiven und handlungsorientierten Dialog zur Standortattraktivität Bremen zu beteiligen ist vorbildhaft! Es wird Zeit, daß gewählte Parteien im Land Bremen ihre Behörden leiten und sich nicht von den eigenen Apparaten müde belächeln lassen. Nur Mut Bremer SenatorInnen(!) – bei jeglichen Gestaltungsbemühungen zu einer lebenswerteren und nachhaltigeren Stadt, wird Bremen schon heute nicht mehr zu den ersten im Lande gehören – es kann doch auf bereits Erprobtes in anderen Städten zurückgegriffen werden! Wenn wir es denn wagen über den eigenen Tellerrand zu schauen. Dieser Blog und seine Akteure helfen dabei. Danke.